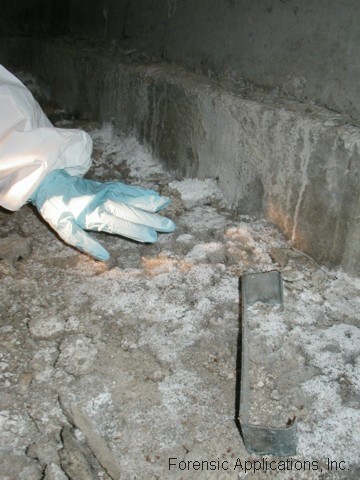 Due primarily to sensationalized journalism and unscrupulous contractors who perform junk-science “sampling” and nonsensical “testing,” the public has become mystified by indoor moulds (mold) and other fungi, when only a decade earlier, they would have felt perfectly confident to take care of an indoor mould problem themselves. 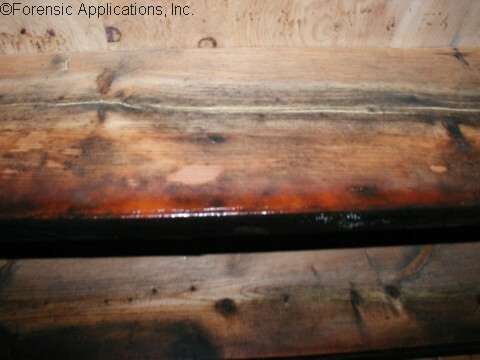 While it is true that some moulds may elicit an allergic reaction, the same may be said about cheese, or peanuts, or pine pollen, or cat dander. The term “toxic mould” was a creation of drama seeking newspaper and television journalists attempting to sensationalize what is otherwise a very boring and mundane occurrence. Similarly, the notion that “black mould” is somehow more significant than any other color is also a creation of the news media. 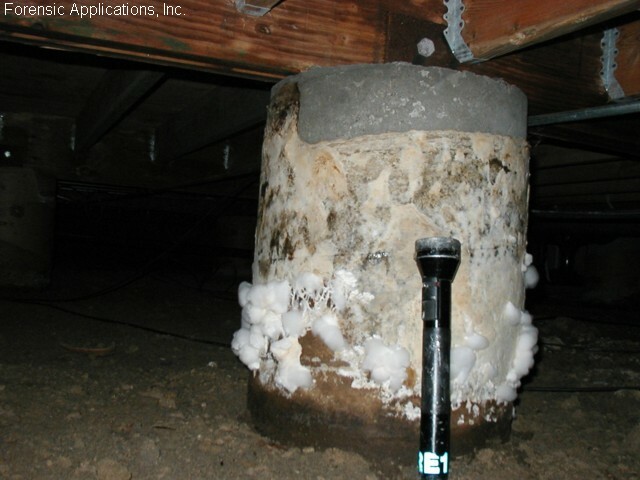 Pink moulds such as Phoma or fluffy white moulds such as Trichoderma (seen here growing on a large sonotube) or a member of the Absidia (growing here on a floor joist), may become black upon death and with subsequent oxidation. 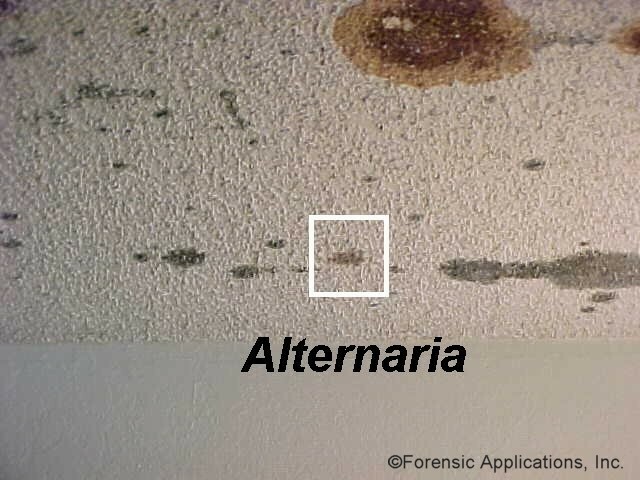 "Black" moulds are no more significant than any other color and include an huge variety of very different organisms, indistinguishable by their "blackness," such as Alternaria (here growing on a ceiling in a meth-lab), or a member of the most common mould on the planet, the Cladosporia (seen here harmlessly growing on the underside of a crawlspace access panel) or the dreaded Stachybotrys atra, (seen here harmlessly adhering to Styrofoam). 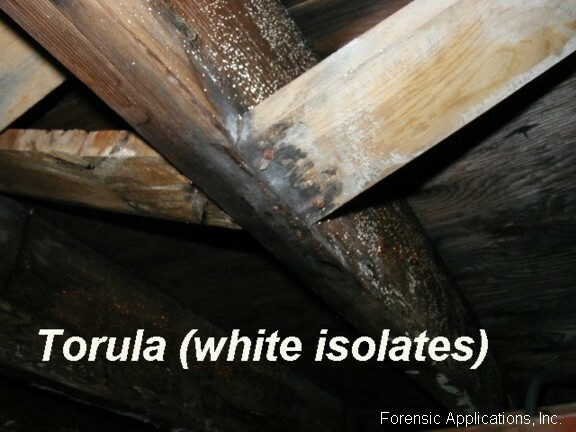 Some organisms, such as Torula may be black or white depending on the growing environment. 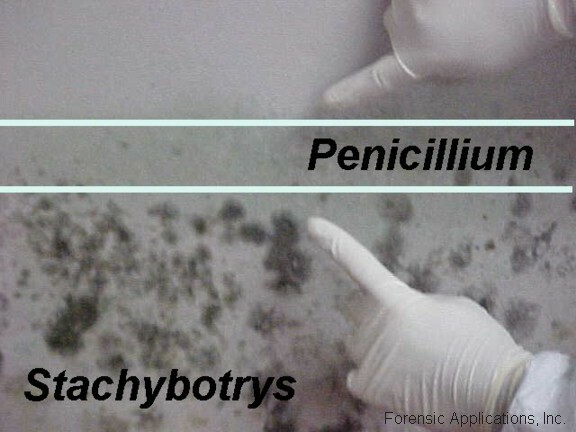 Black moulds are no more “toxic” than any other colored mould and sensational claims about mould induced “brain fog,” toxic mould syndrome, and a variety of other claimed maladies have been debunked and shown to be mostly fear-induced symptomologies not related to any kinds of indoor fungi. 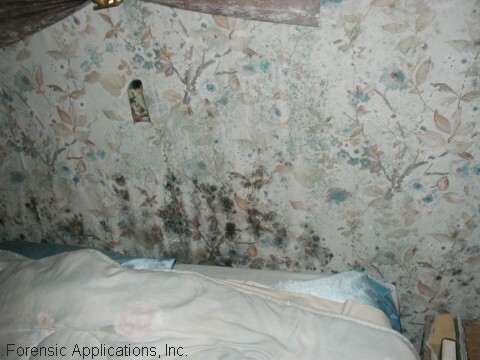 We have discussed the state of scientific knowledge associated with the black mould scare here. This discussion will provide photographs of moulds and other fungi as they occur in normally encountered living conditions. 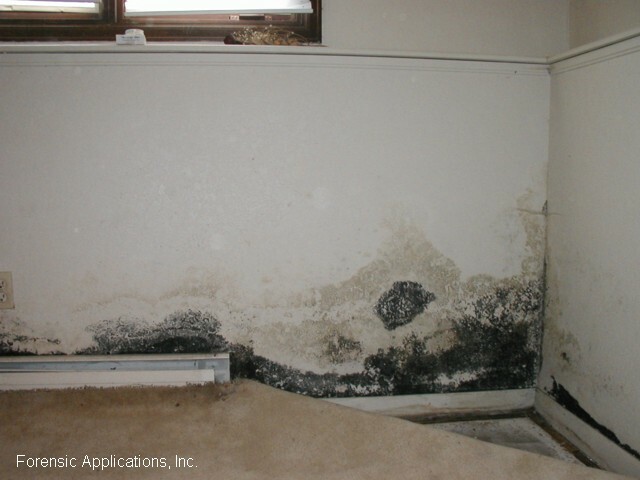 Very frequently, but not always, the organisms are present as a result of a water or moisture problem. 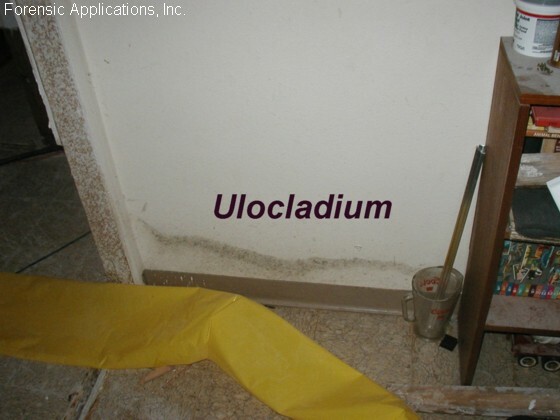 Always, the organisms are a result of excessive moisture, whether the moisture is currently, or was historically, a problem. 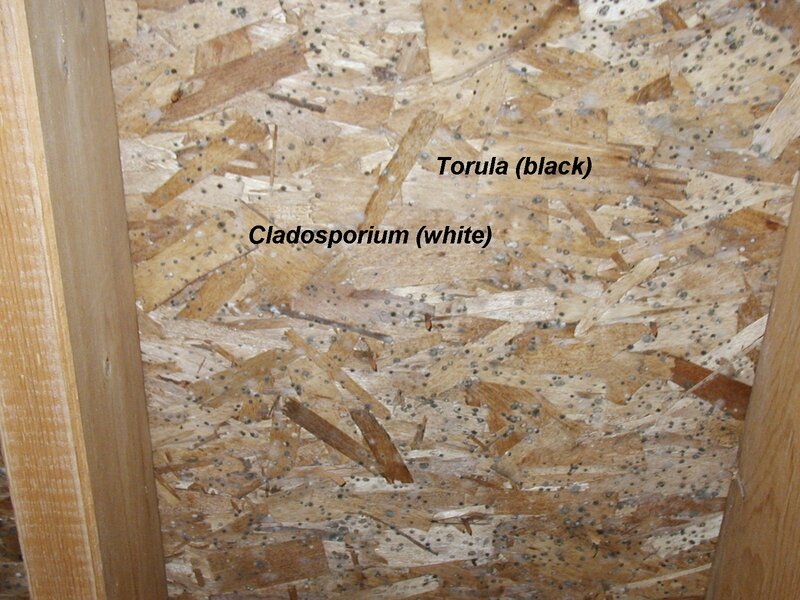 Except to say that many houses using soft woods are actually built with the mould already installed. 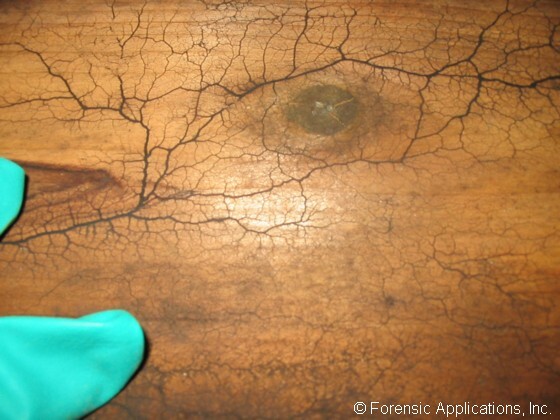 This is because, during the growth of the wood, as a plant, the tree may become infected with one or more “blue-stains” or “green-stains” the common names for fungi such as Ceratocystis and Leptographium. 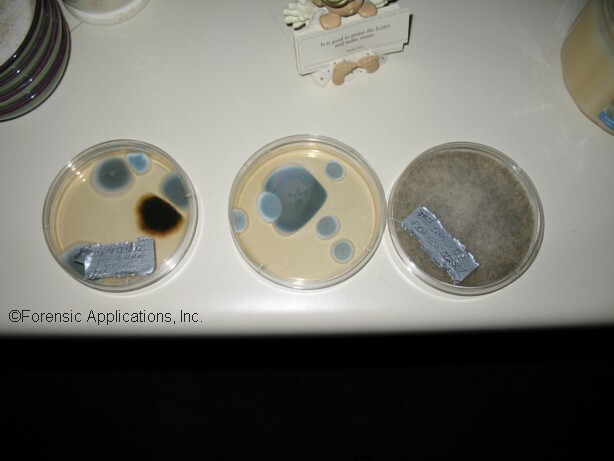 It is important to note that mould “tests” are most commonly used only by poorly trained mould consultants who otherwise lack legitimate training in mould and fungi, and use the lab report primarily to bamboozle and impress their clients; the laboratory results are otherwise usually completely uninterpretable. 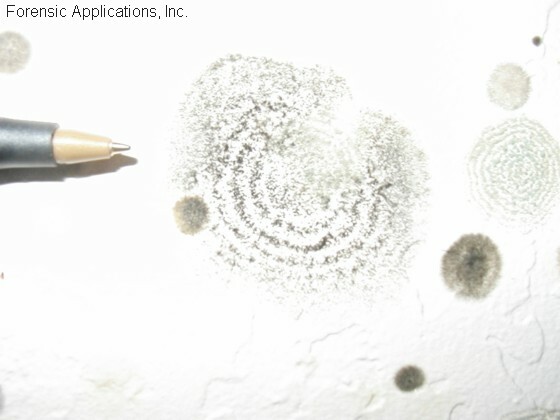 We have provided a discussion on the reason why such mould “tests” are invalid; just click here. Throughout this discussion, we will use common terminology for genus and species, the actual taxonomic or accurate phylogenetic nomenclature notwithstanding. We do this since this discussion is intended to associate specific organisms with their commonly used “street” names – even though in many cases, the organism may have different and/or more accurate names. Similarly, this discussion uses common terms to convey specific information even though in some cases, the language may be entirely incorrect (especially, when we refer to the "death" of mushrooms). 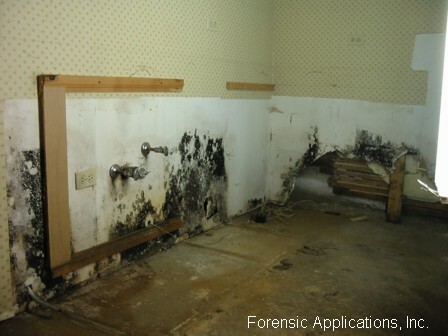 We have seen many cases where a property owner “discovers” the mould for the first time, and panics. 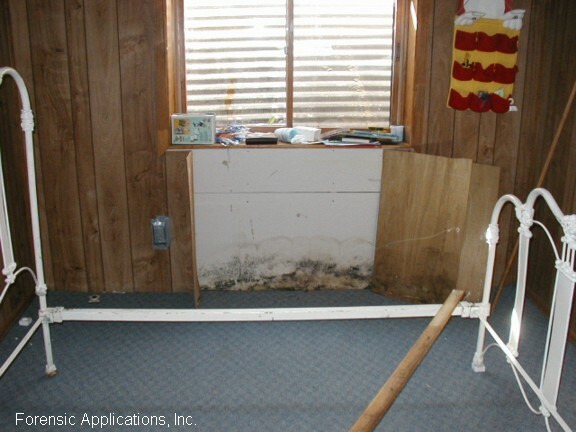 Upon investigation, we frequently find that the mould has been harmlessly present in its current location and state of dormancy for many, many decades. 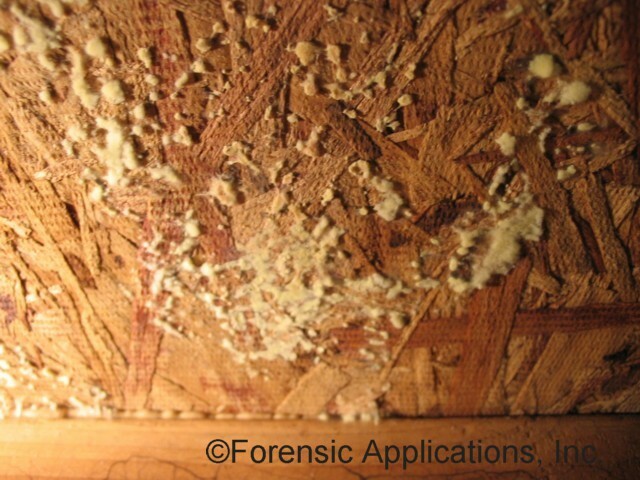 However, in many cases, especially where the discovery is made by so-called “Certified Mould Inspectors,” we find the material isn’t even mould at all! 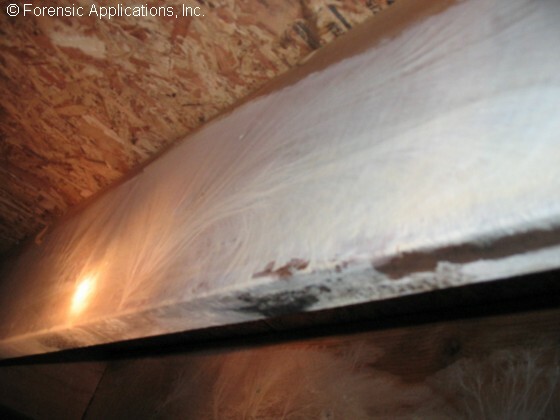 Recent media coverage on indoor moulds has raised the indoor mould issue into the realm of popular science fiction. 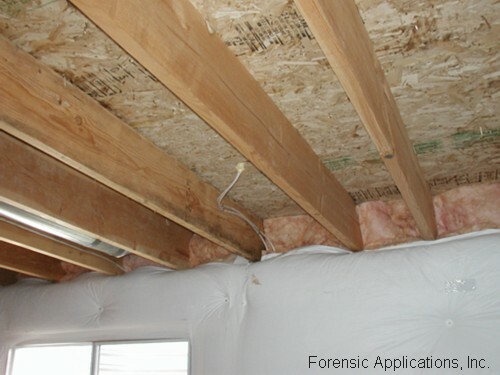 As a result, a plethora of self-certified “mould experts” and “mould inspectors” have entered the newly recognized market providing wildly inaccurate and entirely unscientific consultation regarding mould, its occurrence, assessment and significance of human exposures. 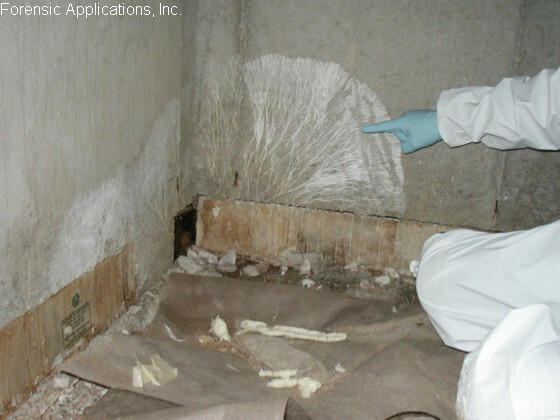 Although there are approximately 40 or so organizations claiming to have authority to certify inspectors, none of the organizations are nationally recognized as having any proficiency in indoor moulds or their assessment. Individuals bearing initials such as CMI and CMRI, are typically those who are engaged the most in scare-tactics, and junk-science mould consultation that at times can border on psychotic. A typical example of the mind set of a fully “certified” mould consultant can be found by clicking here. Hundreds of other examples can be found on the internet. 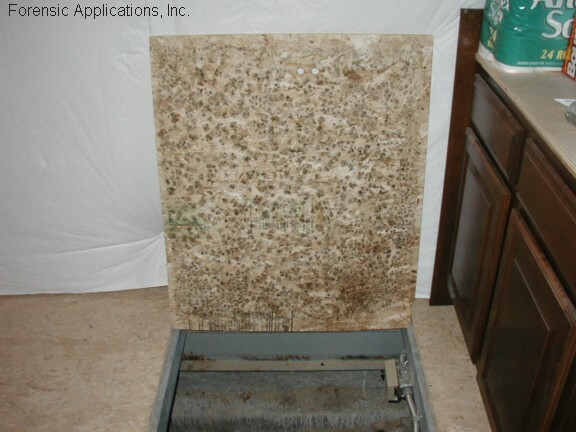 These devices are sold through retail outlets such as Home Depot®, Lowes® and other retail outlets and go under a variety of names such as IAQ Pro 5-Minute Home Mold Test, and the PRO-LAB Test Kits. In the settling plate method, Petri dishes are simply opened and exposed to the air for a period of time and then sent to a “laboratory.” Although certainly visually impressive, and ranking high on the "fear factor," these are not true samples, and there are no valid “results” that are interpretable when using this method. "Lab results" using this method are entirely meaningless. We have placed a discussion on the use of “samples” for “screening” purposes here. 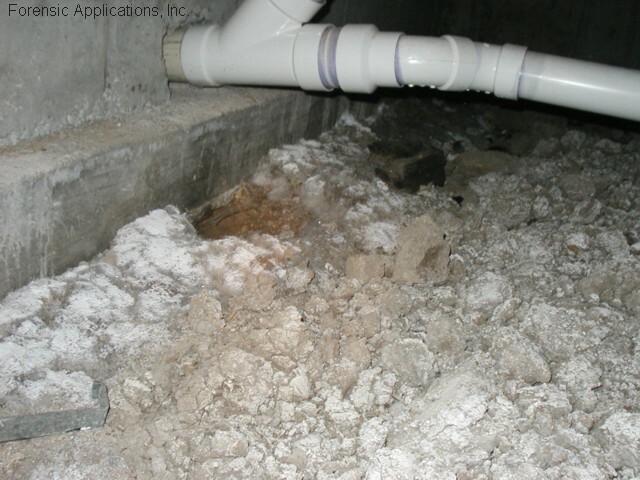 One of the more frequent misidentifications by certified mould inspectors is the presence of salt crystals called “efflorescence.” For example, in this case, a plumber working in a home identified himself to the homeowner as a “Certified Mold Expert” and he informed the homeowner that the white material at the top of the concrete (click here ) was “toxic mould” and he instructed the frightened homeowner to evacuate her home immediately; he falsely told the homeowner that the “toxic mould” could kill her instantly. 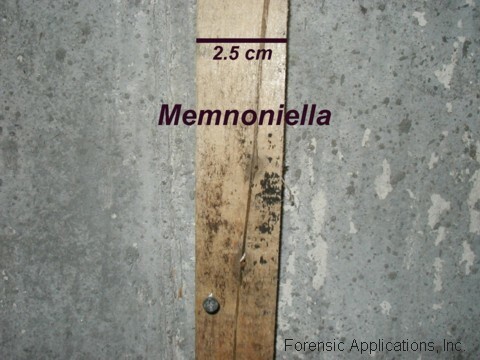 The white material along the top of the concrete wall is not, in fact, mould at all. Rather, as water moves through the porous concrete, it carries with it dissolved salts. As the water reaches the interior surface of the wall, it evaporates and fluffy crystals of various colors precipitate upon the surface. 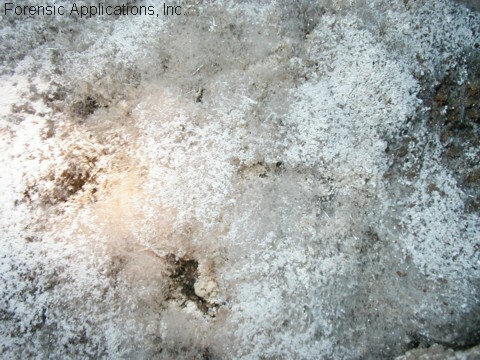 The material consists of common salts (for example, a mixture of Epsom salt, nitrates, chalk and table salt, etc.) The material can form on brickwork, wood, concrete floors or soils and can cover large areas producing beautiful long crystals. 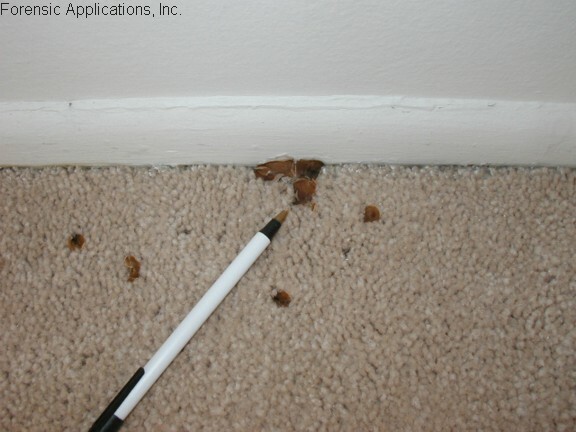 This material can be left in place, or merely vacuumed off with a regular vacuum cleaner. 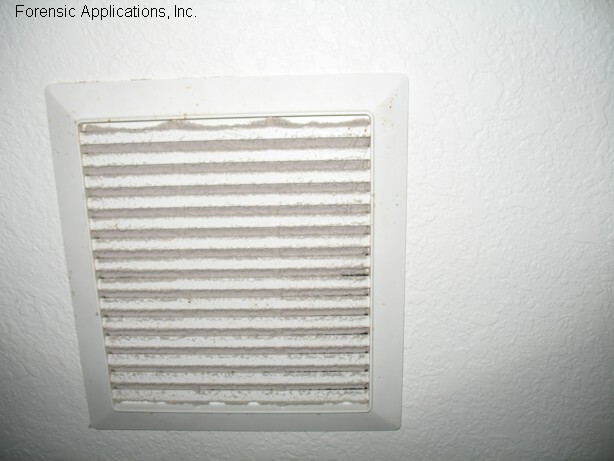 Another common material frequently misidentified by the self-proclaimed “certified” mould inspectors is the normal buildup of black airborne debris around return vents. Click here and here for examples. 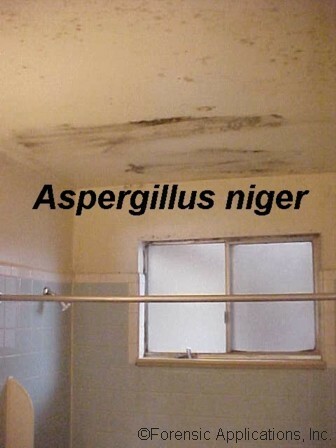 Similarly, the normal white buildup in bathroom exhausts, has been misidentified as indoor mould (click here ). 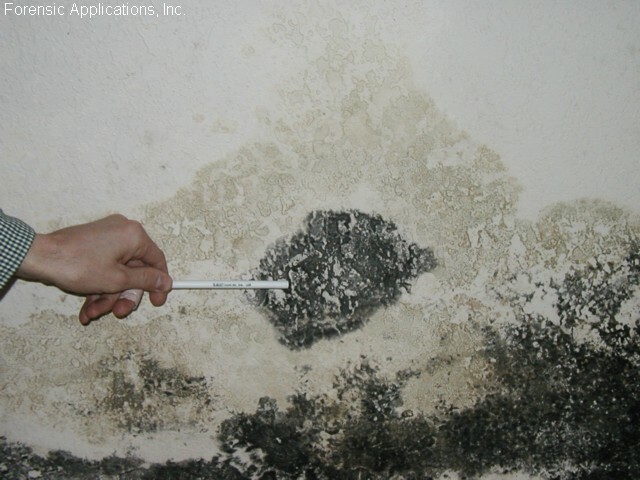 Mould is seldom the problem; rather, moisture is the underlying problem and the mould is the visual manifestation of the problem. 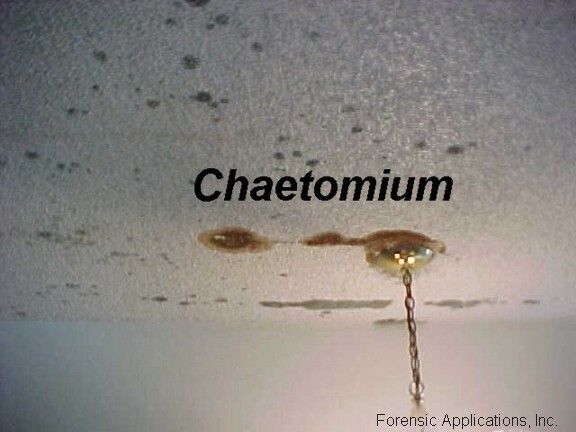 Therefore, very often, the distribution of growth can speak to the issue of the moisture intrusion. 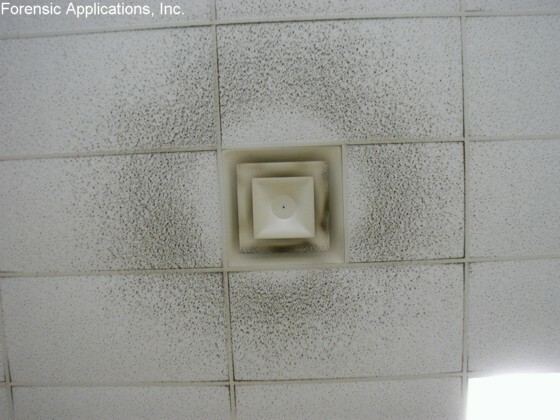 Wide spread distribution usually speaks to the issue of condensation. 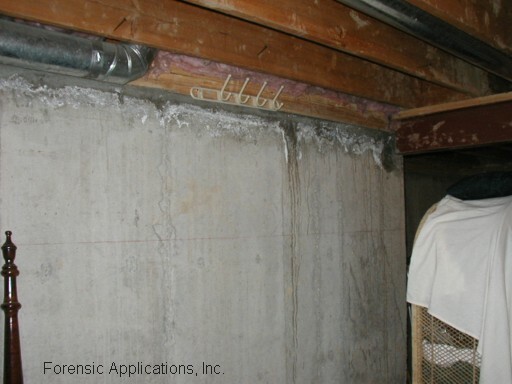 In this photograph, the concrete foundation wall behind the drywall remained colder than the interior air, and water condensed on the drywall providing sufficient available water to promote widespread growth. 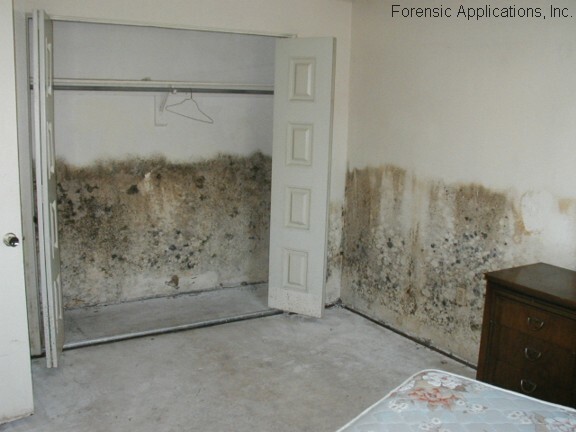 Since the water preferentially condensed out resulting in a water concentration gradient, and various organisms have differing moisture needs, the mould subsequently sought out those moisture conditions most favorable to them. 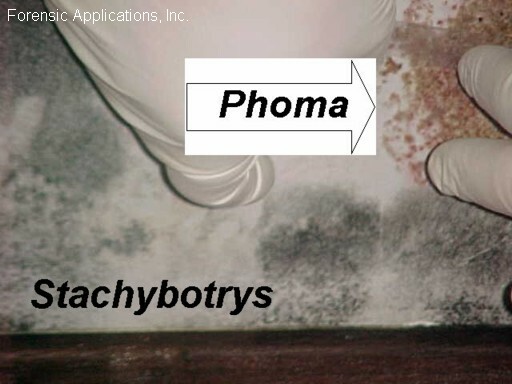 Some organisms, such as Stachybotrys atra, Ulocladium, Chaetomium, and a Stachybotrys-like morph called Memnoniella typically favor very wet conditions and long growth times. 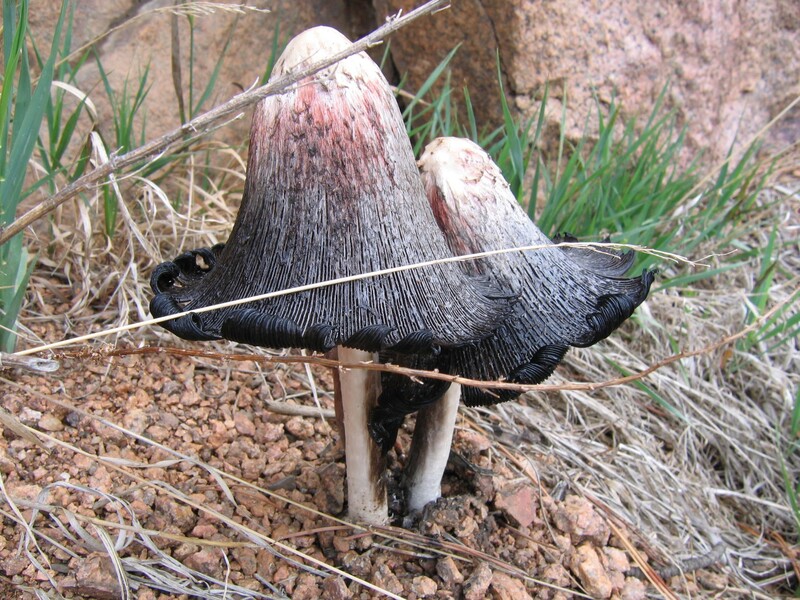 Other fungi, such as the Penicillia, and the Aspergilli can tolerate much drier (but still decidedly damp) conditions. 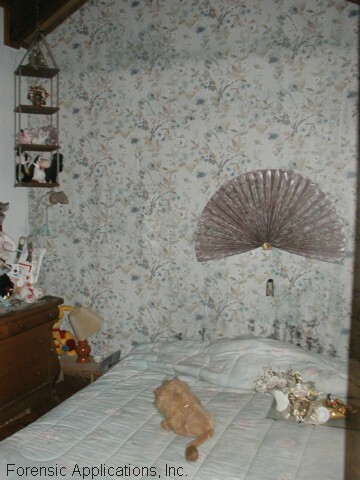 (Here's a close-up of the Penicillia on the bedroom wall. 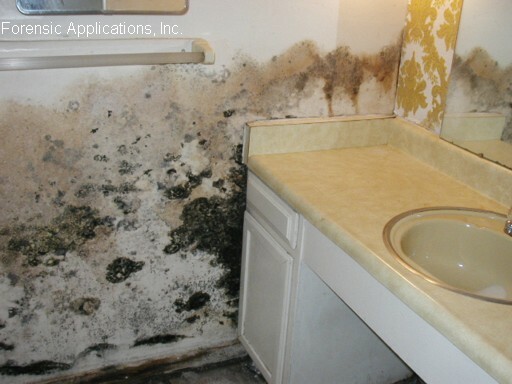 Although the blue background obscures the colonization, this photo, shows the widespread contamination which covers virtually the entire wall, as a result of a steam loss in a cold house.) 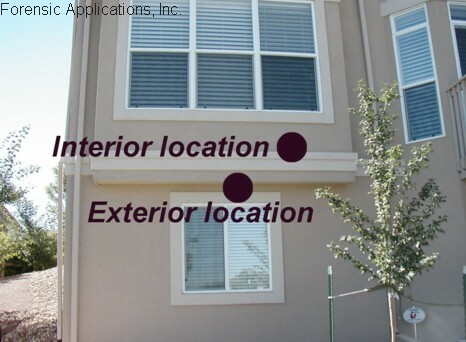 The result of the moisture gradient is a layering pattern, with the xerophiles (organisms tolerant to drier conditions) at the top, and the organisms favoring wetter conditions at the bottom of the wall. In this photograph, one can clearly see the distinctive delineation of Stachybotrys atra along the bottom and members of the Penicillia and Aspergilli nearer the top. The additional cold spot is similarly marked by an isolated colony of Stachybotrys . The delineation can be quite profound as seen here . Cycles of wet and dry and cycles of light and dark can produce concentric growth rings seen here on an Aspergilli/Penicillia-like colony. Or some fungi, such as this Periconia exhibits a circular growth pattern on a flat surface. Here is another look at the beautiful feather like structures of the Periconia. It is not unusual to see fungal growth in distinct patterns. 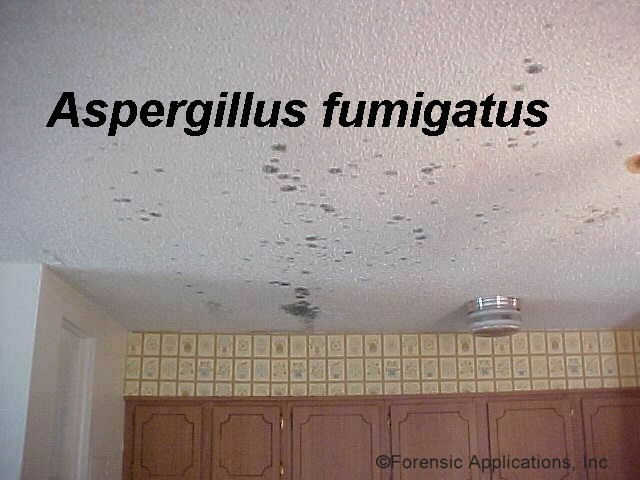 For example, in this case we see that colonies of Aspergillus fumigatus have aligned themselves along the ceiling joists. 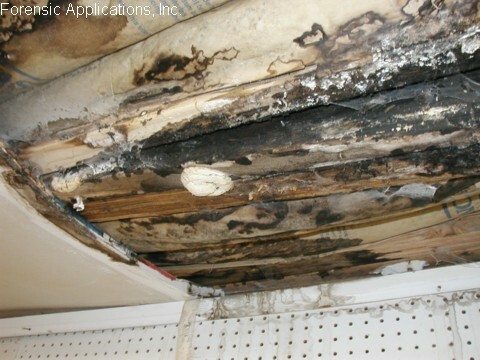 This was a result of steam being produced in an illegal drug lab, and the water condensed on the cooler joists. As similar situation exists, here with another example of Chaetomium. Curiously, some organisms commonly known as “rots” can actually bring their own water source to the food. 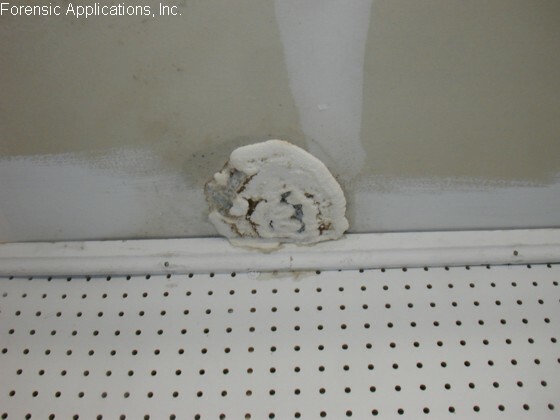 For example, in this case, we see a mycelial fan spreading out on a concrete wall. The organism isn’t actually growing on the concrete, but rather is using the concrete wall as support, as the tendrils seek out a food source (the wooden structures of the floor joist above). 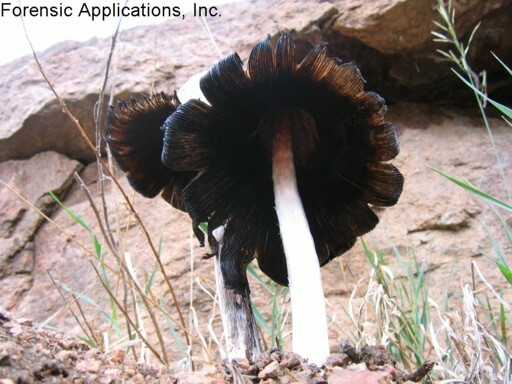 Eventually the tendrils (here seen as black Coniophora puteana or C. marmorata) will locate the wooden food source and create large mycelial mats, that spread and consume the underlying wood. 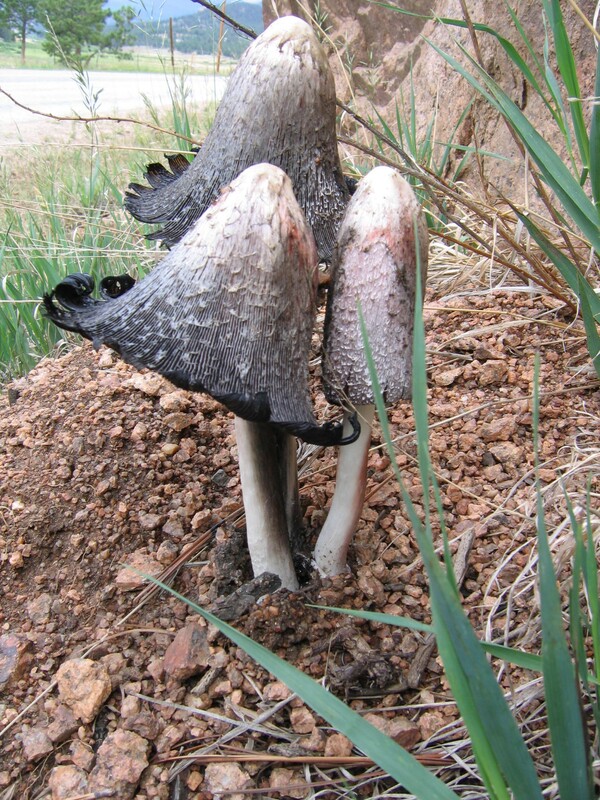 In this case, the organism produced “fruiting bodies” (mushrooms). 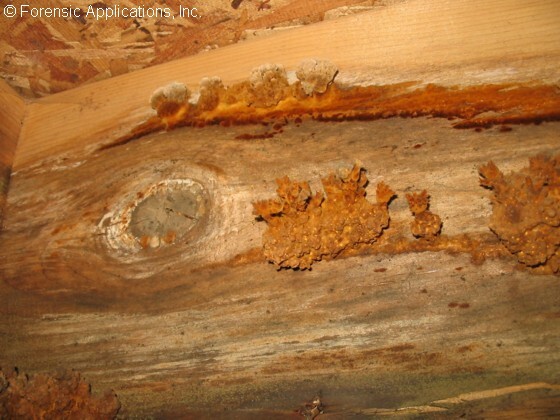 The organism constituting the fruiting body is probably Inonotus or the organism responsible for dry-rot, Serpula lacrymans (the actual identity of the fruiting body was not determinable). These very destructive organisms can create widespread damage, and suddenly appear after the damage has already been done. 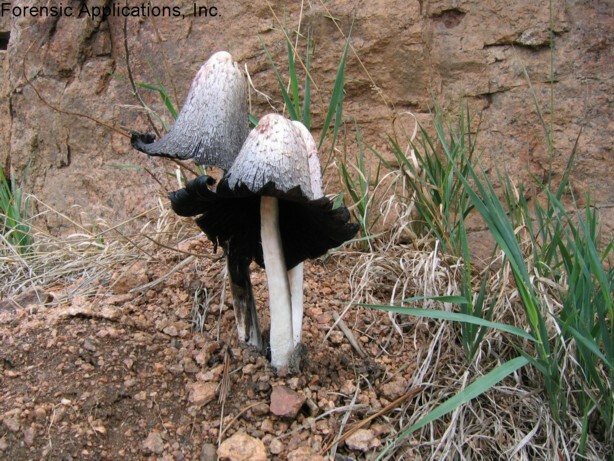 Another kind of macrofungi called the shaggy-mane, (Coprinus comatus) can damage property in a different manner. Very shortly upon “death” the mushroom literally liquefies into a black gooey tar-like substance. One way to prevent this from occurring is to pluck them before liquefaction and eat them! 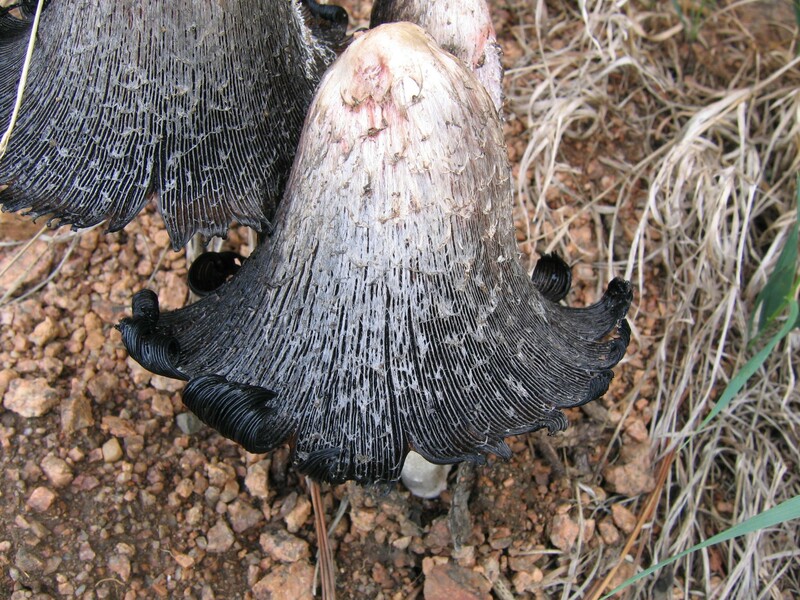 (2006, was a particularly good year for mushrooms in Colorado, and if you're interested, the following sequence of photos depicts a beautiful growth of ink caps this author (Connell) found near his home (we have maintained the large file size for some of these photos to allow a close-up inspection of the beautiful detail: Photo 1, Photo 2, Photo 3, Photo 4, Photo 5, Photo 6, Photo 7). 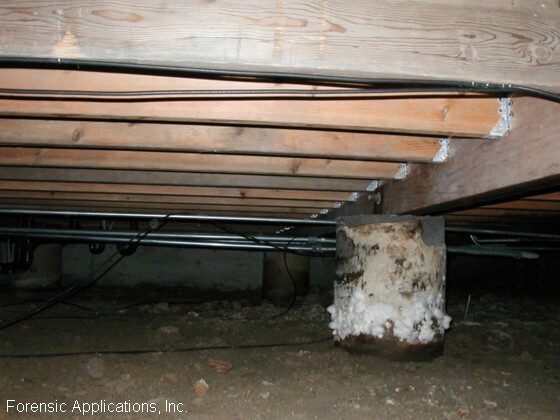 Some mushrooms grow inside or on houses and may not create too much damage, or no damage at all. 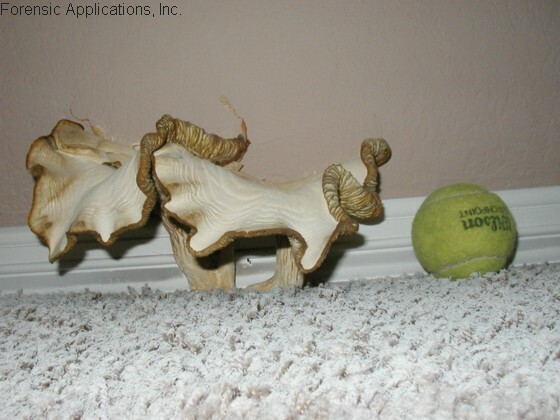 For example, in one house, this author (Connell) found two different kinds of mushrooms. 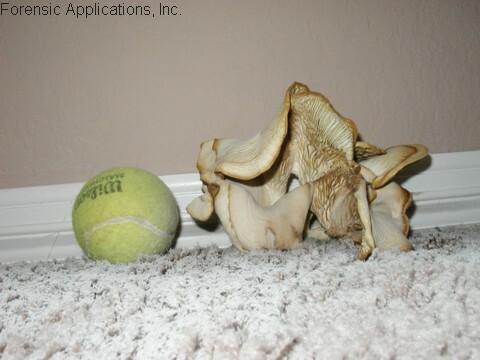 One of the mushrooms, Panus strigosus was quite large as seen here growing in the living room and photographed next to a tennis ball. 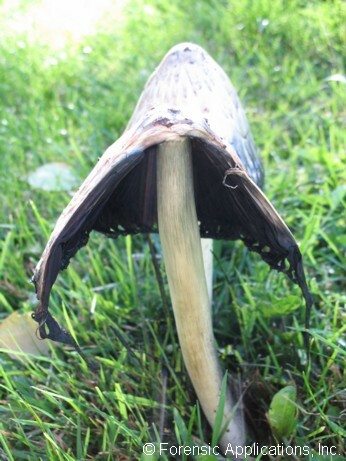 The convoluted twists of the fruiting body hide the actual size of the mushroom. 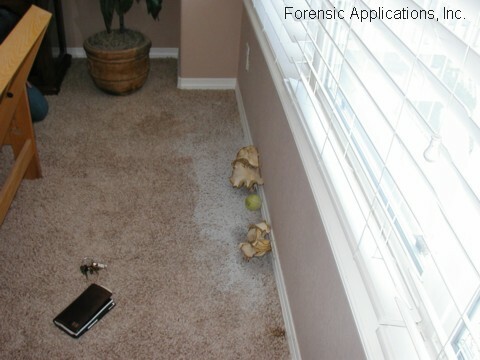 Although this fungus did create a messy field of spores around its new home, the health of the home owners was not effected in any way. 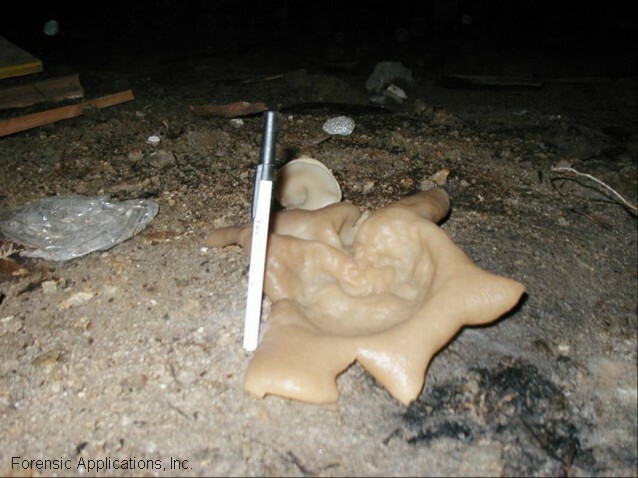 The homeowner originally found the organism because it created an eerie sight as it glowed in the dark! 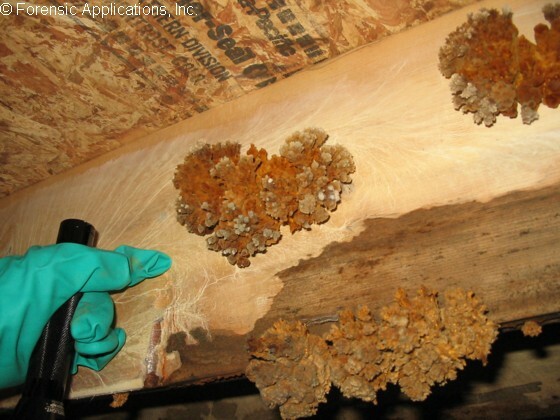 Curiously, the same water leak that lead to the growth of the Panus also resulted in the growth of another mushroom immediately outside the structure growing on the outside of the home. 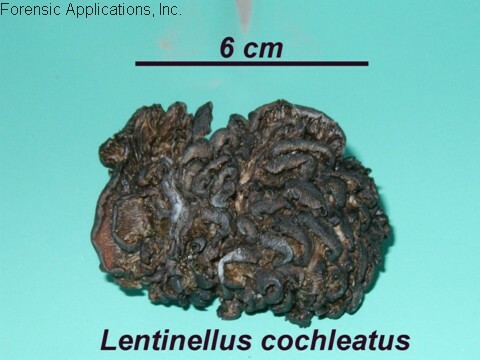 This other organism’s fruiting body is known as a “brain fungus” and is probably either Lentinellus cochleatus or possibly a member of the Gyromitra. 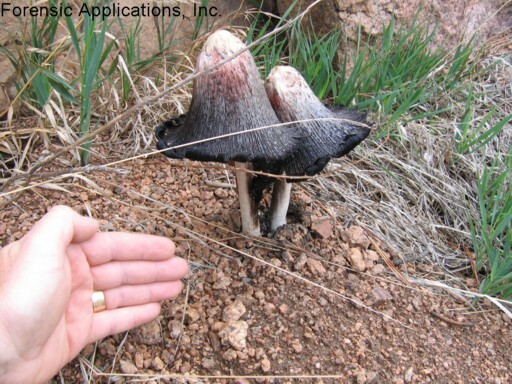 Another indoor mushroom is so commonly found indoors (and even in cars) that it is simply called the “common indoor mushroom” (Peziza domiciliana) The fruiting body of which can be very small to quite large. This discussion is obviously just a small snapshot of the thousands of moulds and macrofungi with whom we share our homes and every breath of air. However, overall, humans and indoor moulds and fungi get along rather nicely. It is interesting to note that in none of the houses depicted in any of the properties shown on this page, occupants had any mould related health complaints. 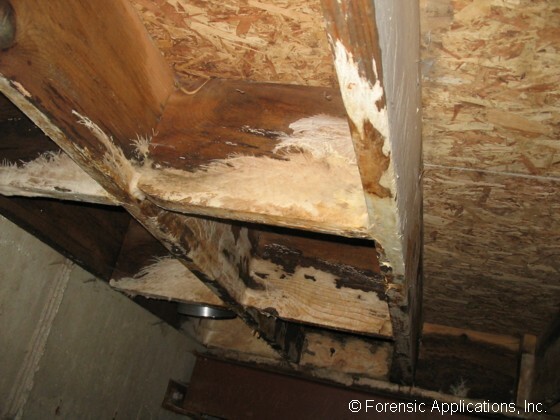 In each case, the occupants lived quite normal, healthy lives until they were informed of the mould contamination, and misinformed by poorly trained property inspectors that there was an health concern. The lack of objective evidence notwithstanding, there’s not much to stop the news media from creating a new sensation on a slow news day! This page was originally created on Jan 21, 2007, and was revised December 16, 2016 (V4). 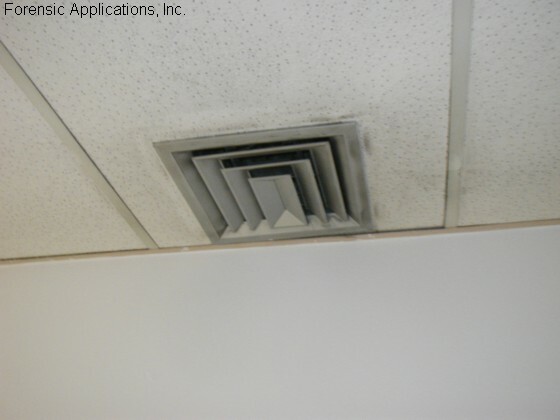 To visit our page concerning air monitoring aspects of moulds, click here. To visit our page concerning health aspects of moulds (myth busting), click here. A discussion concerning meth-labs and illegal drug labs, can be found by clicking here. For a discussion concerning indoor radon click here.